You are here: Home Articles Perfins - ruined stamps? 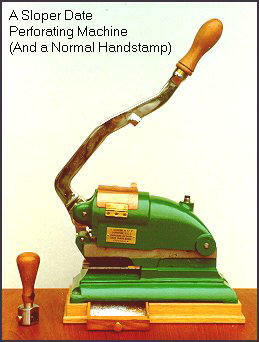 From 1868 to the 1960s it was customary in many companies to mark the stamps used for postage with holes. This should prevent the employees from using the stamps for private purposes. The idea of punching stamps came from the Englishman Joseph Sloper, who in 1867 applied for a special punching machine a patent. Sometimes the same letters or letter combinations were used by several companies. 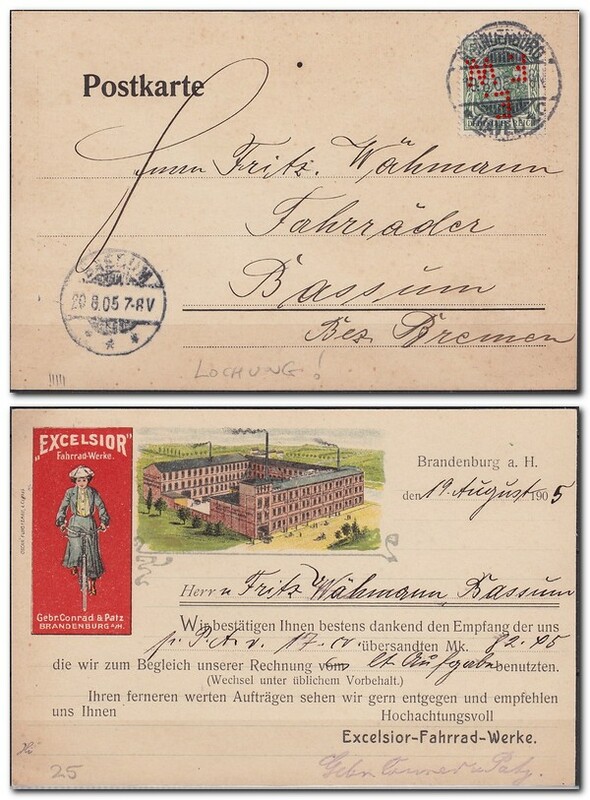 In this case, a cancellation showing the city helps with the assignment – “Brandenburg (Havel)” on the postcard above. In case of such a hit the stamp indeed was ruined. Nowadays a perforation would actually make the stamps worthless, because in most postal areas, as in Germany, these are no longer allowed. Instead of them metermarks are used. Perfins may be regarded as personalized stamps. They can be shown at official exhibitions. 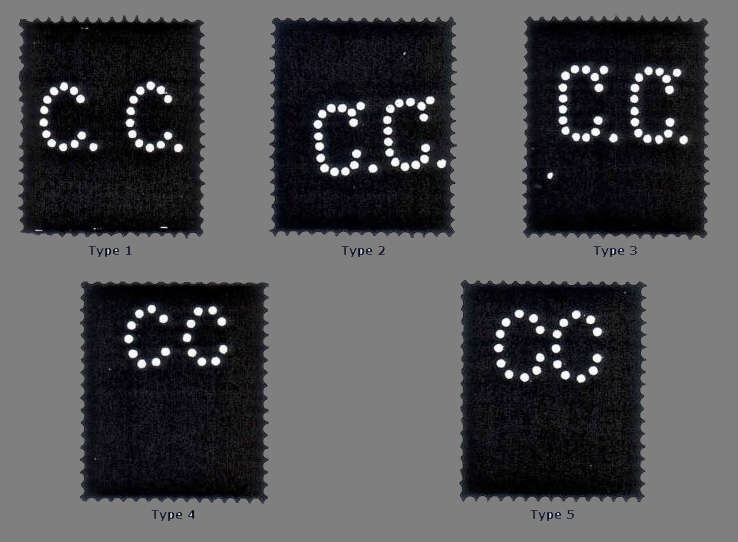 They enrich each thematic collection and offer wide possibilities for research. Thanks to Nico Helling from the MFN for the approval to take over parts and pictures from his report.